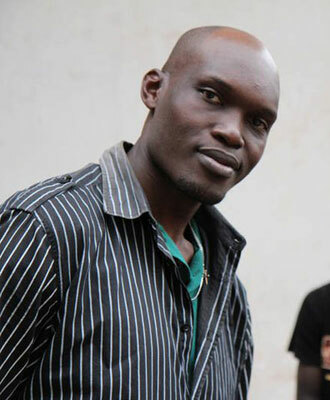 Matt Bish is arguably one of the most internationally recognized Ugandan filmmakers, having produced blockbusters like Battle of the Souls, State Research Bureau (SRB) and A Good Catholic Girl. Polly Kamukama interviewed him about his life and career. I was born 36 years ago to Mr and Mrs Douglas Bishanga; the first born of three siblings. My siblings are Roger Mugisha and Jacinta Kabarungi. I went to Nkoyoyo Matale boarding and later Mugwanya preparatory Kabojja for my primary education. I joined St Henry’s College Kitovu and Namilyango College for my O and A level respectively. I then went to the school of Architecture at Makerere University, from where I moved to the Netherlands for one year in 1998 to study digital filmmaking at the school of Audio Engineering and Film in Amsterdam. I returned to Uganda in 2005. What inspired the film career? My parents. My father used to own a JVC video deck by 1982, from where we watched all kinds of movies. The cinemas back in the day also got me hooked with the likes of Neeta and Odeon being my favourites. It was at that age that I thought how beautiful cinema was. The real moment I believed that I was a good storyteller was while at Kabojja; I told my fellow schoolmates an unbelievable sci-fi action packed story that kept them listening for two days – every 7pm to 9pm. They nicknamed me my story’s protagonist, Rwashamire. Having studied in the Netherlands, why did you choose to come home? It was simply coming home to friends and family and to help filmmakers get their grip. Some of my lecturers advised me to come home to a virgin territory in the industry and produce television commercials and documentaries, something which would have been hard to do if I were to stay in Amsterdam. What do you make of the local film industry so far? For starters, if we want to market our films abroad, we need to improve on their quality. I also advise up-coming filmmakers to venture into short films; they are on demand and are a good learning experience. With the money from a couple of them, you can be in better position to produce a feature. Other urgent issues are lack of funds, unprofessionalism, government neglect and poor audience attitudes. Some critics say the reason your films are popular is because you have money to produce and market them. That is not true. When I left film school, I was warned to never expect money from anybody, not even your parents or family members. I laughed it off and embarked on my first feature film Battle of the Souls in 2006. I walked to almost all the big telecom companies and breweries but they simply rubbished me; nobody was interested because they simply believed that no Ugandan could make movies. It was then that I started to produce television commercials and music videos and together with my brother, Roger, we embarked on the project which took close to six months to shoot because we didn’t have sufficient funds. I am now proud to say that it paid off. Is it true you underpay your cast? The least I pay has been Shs 50,000 for an actor who shows up for an hour on set; the average payment has been Shs 200,000 for the non-principal actors and between Shs 500,000 and 1m to lead actors. It’s the kind of money that not many people get in a month doing other jobs. Why do you think it takes me a while to produce great films? I have no money to waste! 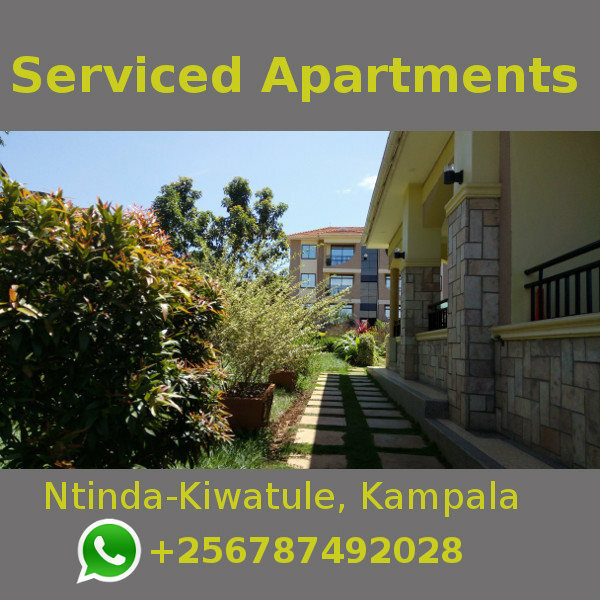 You are known to resent the term ‘kinna-Uganda’. It takes the form from the famous ‘ki-Nigeria’ from Nollywood. ‘Ki’ is what makes anything after it cheap or bogus. Because most Ugandans have been producing that sort of films, the name has caught up. However, films that have tried to respect the art of cinema should never be called that name. I would rather they be called Nile Films, Ugawood, etc. Does being popular come with extra responsibility? I am not aware of that; I thought people like Mariam Ndagire were the front-runners. But in a way, I feel quite comfortable with the way I make my films. I am learning everyday and for me, it is about making great films. The pressure arises from the urge to tell a much greater story than the last. What makes Bish Productions special? I co-own the company with my brother Roger Mugisha. We started out as a music video production company though we have since diversified into film, adverts, documentaries and all sorts of other productions. Roger is a great thinker and speaker; he brings up very interesting ideas all the time and when he is presenting them, you feel like you should just sit back and listen. He is really an asset to the company. Which local filmmakers would you love to work with? I love Carol Kamya, Donald Mugisha, Hoseah Jjemba, Mustapha Abdalla and Steve Jean among others; they respect the art of filmmaking. It is a film. I have not decided to start shooting because of the available funds but trust me; it is not your average kind of story.